Binary options trading can be a fun, exciting way to make money—or to lose it. And it isn’t nearly as much fun when you start losing money. There are a lot of ways that binary trading can cost you: lost trades, hidden fees and commissions, that won’t release your funds, and bad trading habits that can cost you extra. Let’s look at 6 ways that you can save money while you are trading. The more you save, the more you can trade, and the more money you can ultimately make. These suggestions concern how you trade, how you deal with your broker, and how you manage your bankroll. 1. Choose a trustworthy broker. One of the biggest ways to throw away money trading is to invest with a company that you cannot trust in the first place. If you do this, you will find yourself losing money hand over first, because it will not even matter whether or not you are winning your trades. There are a lot of fly-by-night brokers out there these days who will steal your investment outright. Even if you win, they may refuse to pay out. These companies dodge emails and phone calls, attempt to negotiate and placate, and will do everything they can to keep from sending back your hard-earned cash. Prevent yourself from falling into this trap by selecting a broker which is well known, has forged a strong reputation, and has many positive and realistic reviews online left by third parties—and not just affiliates. is a good start for you. 2. Read the fine print to learn about fees. Then navigate around those fees. “No fees, no commissions, ever!” This is a common claim on the front page of binary options online broker websites. But is it valid? It can pay off (literally) to take a closer look at the terms of deposits and withdrawals for any broker. Very few brokers actually charge commissions associated with trading—directly. They make up for it, though, by leaving a gap in their favor between the payout and out-of-money reward percentages. Most trades pay out between 65-85%. Most out-of-money rewards range from 0-15%, with the average being 10%. Between 10% and 85% is a gap of 5%, which will always play to your broker’s favor. This is how commissions are “built in” to trading. This should not cause a problem for you as long as you take it under consideration when you are testing your trades and determining your profitability. You have to calculate your real expected winnings based on these percentages. Never make the error of thinking of your winnings as 100% unless they actually will be. Deposit and withdrawal fees are almost ubiquitous. 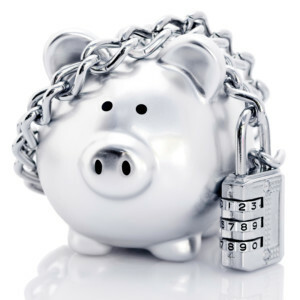 Most fees concern wire transfers, so if you avoid wire transfers, you will avoid those fees. Other fees may come into play if you withdraw more than X times per month. You should be aware of these fees so you can plan your withdrawals accordingly. Still other brokers will charge a fee if you withdraw under a minimum threshold. They may also prevent you from doing so outright. Know your broker’s terms, and plan to maneuver around deposit and withdrawal fees, and you will save lots of money. 3. Don’t get trapped by a minimum withdrawal threshold. Picture this scenario: You find a broker you think you want to trade with. You have done the research and they seem more or less acceptable. You still do not feel entirely sure, but you want to give them a try. You deposit the minimum required balance, $200, and you start trading. Since you are a newbie, you experience a losing streak, and before you know it, your account is down to $90. You have not been very impressed with your broker’s services anyway, so you go to withdraw your funds and you are met with a surprise—you cannot access your funds. When you ask why, the customer service team points you toward the minimum withdrawal threshold of $100. You are unable to remove your $90, ever, unless you can raise your balance back up above $100 by winning trades. What do you do in this situation? Your options are pretty restricted. You could choose to abandon the $90, but that would be taking a pretty heavy loss. You could try to trade to raise your balance back above $100, but there is a good chance you will simply blow your account instead, and still lose the $90. Either way, you end up forfeiting your investment, unless you are lucky enough to retrieve it, and all because you were not ready to trade and you chose the wrong broker. There are two ways to avoid this trap. The first is to choose a broker that does not set minimum withdrawal limits, or sets very small ones. The second is to put more money in your account in the first place, so that you can execute a number of trades without dipping below the balance. No matter what, keep a close eye on your balance, and if you believe you are going to fall under the threshold, stop trading and decide what to do. for a list of broker’s with minimum withdrawals and deposits. 4. Use bonuses with care. Bonuses can make you money or cost you money, depending on how you use them and how good a trader you are (or how lucky you are). It helps to know . A bonus is typically going to take the form of leverage in your trading account. You will see in the terms and conditions how much account turnover you have to achieve in trading volume in order to claim your bonus as cash. Until then, the money will be tallied in your account, but will not be available to withdraw. So use bonuses with caution. While they may enable you to make money faster, they can also cause you to lose money faster. 5. Use the early close tool. If your broker is reasonable enough to provide you with a feature called “early close,” or “sell,” or “buy me out” or something similar, make full use of it. This is a very important feature which allows you to control how long you are in a trade. You can to conserve your profits if you believe the market is about to turn against you. If it already has, and you are certain things are not going to be getting any better from here, you can cut your losses and get out. It plays the role of a “stop loss” or “take profit” in Forex. As a cautionary note, do not assume you can always make use of this feature. Check the terms surrounding its use. You may only be able to use it after you have been in a trade for X minutes, or you may not be able to use it within X minutes of the expiry time. Ask your broker if there are any limitations, if you are unable to find the details on the website. This is one of the best ways you can save money trading binary options online, and you would be surprised how few traders make any use of it! 6. Do not trade live until you are profitable in demo. This is the number one way to hang onto your money in the binary options online world. The hard fact is this: most traders lose money not because of their brokers, but because of themselves. They believe that they know a thing or two about how the financial world works, and that a little bit of knowledge and a strong gut feeling is going to propel them to financial success. This is just not the way things work. The odds are stacked against you. Because of the way that the percentages are set up (as discussed earlier), you have to win more than half the time even to break even trading binary options online, which means you must have a substantial edge in order to profit consistently. How do you get this edge, and avoid casting your fate to the winds and letting Lady Luck steal all your money? Lady Luck rewards the trader who has put time, effort, and energy into developing techniques that allow him to win. This is what newbie traders fail to realize. Luck is always going to play a role in trading, but the traders who appear to have luck on their side and win consistently actually are doing what they can to remove luck from the equation. You need to search for patterns in the market which have consistent, observable results that you can take advantage of. Look into getting or developing a trading system. A trading system is a simple set of rules that you use to enter and exit binary options online trades. Test any system you are thinking of using thoroughly before you invest real money. There are binary options online brokers that offer . Imagine being able to do all your testing without spending a dime. When you lose because of newbie mistakes, you do not actually lose any real money if you do it in demo. The idea of spending all that time testing with fake money may make you feel impatient at first, but when you see those virtual losses and breathe a sigh of relief, you will be glad you did. You can trade as long as you want with virtual funds only, and only when you start seeing consistent virtual profits should you invest real money in your trading. You will then be prepared to win, and you will be on the road to riches!